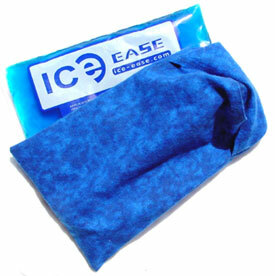 Our Ice Ease Packs reduce swelling and offer muscle / joint pain relief. Our gel allows the packs to remain flexible when frozen, making it easy for them to conform to any part of the body. * Our posted shipping rates apply only to orders shipped within the contiguous United States. Copyright 2006 Ice-Ease.com. All Rights Reserved.